Beijing Hanjian Group Co., Ltd. was founded in 1978. 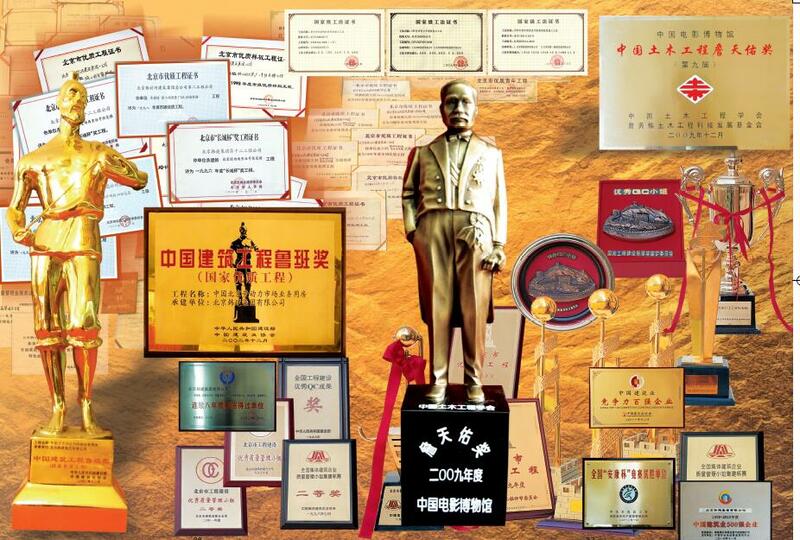 Under the leadership of the old secretary Tian Xiong and after more than 30 years of trial and hard work, it has now developed into a large enterprise group with premium qualification integrating Hanjian Real Estate, Hanjian Construction, Hanjian Pipeline and Hanjian Finance, and has achieved scientific management, technological modernization, talent socialization and industrial diversification. Beijing Hanjian Group Co., Ltd. has abundant economic strength. Currently, it has 22 affiliated branches, 11 direct affiliates and 12 subsidiaries. It has total assets of 10 billion Yuan and the highest annual output value of 6 billion Yuan. 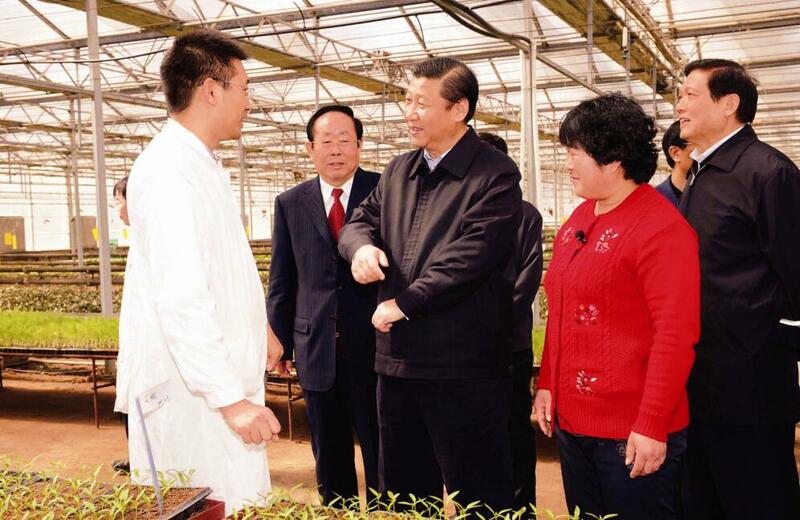 The company pays taxes of 500 million Yuan to the state annually. Its bank credit rating is AAA, and its financing capacity has reached 3 billion Yuan. 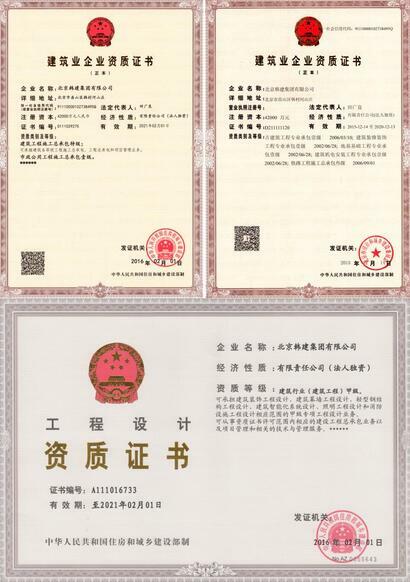 Beijing Hanjian Group Co., Ltd. has established a quality and safety management and assurance system. It is a “three standards embraced in one system” company that has passed the national quality management certification. It not only has premium qualification for general construction contractor of building engineering, grade A qualification for design in the construction industry, first grade qualification for real estate development enterprise, first grade qualification for general construction contractor of hydraulic and hydropower engineering, first grade qualification for general construction contractor of municipal public works and first grade qualification for general construction contractor of restoration and protection projects of cultural relics, but also has first grade qualifications for specialist contractor of foundation and base, building decoration, gardens and ancient buildings, steel structure and mechanical and electrical equipment installation. Hanjian Group has been recruiting capable personnel and optimizing talent team. It has forged a dedicated, courageous, innovative and tough modern enterprise management team, and created the development atmosphere of “having opportunities to make achievements, having stages to show abilities, and having a bright future to pursue”. Hanjian Group is like a happy and harmonious family that is inclusive of every staff, gives staff the opportunity to enhance their abilities and realize the values of life, and provides staff with a vast world to pursue their career and a hopeful future. Since it started a new undertaking in 2003, Beijing Hanjian Group Co. Ltd. has been adhering to the concept of scientific development, reforming operation mode constantly, adjusting and optimizing enterprise structure, promoting development with innovation, and creating the future with integrity. The company constantly has been going beyond itself and improving itself with diversified management concepts. It has created the new pattern that four major industries-Hanjian Real Estate, Hanjian Construction, Hanjian Pipeline and Hanjian Finance advance at equal pace. Hanjian Real Estate has built famed residences with new design concept, excellent project quality, beautiful community environment, perfect supporting facilities and first-class property services. The company has created a modern life platform, led a new ecological and leisure way of life, and injected new vitality to the future of the city with elaborate buildings and distinguished landmarks that embody modern architectural aesthetics. The company has built many famous real estate projects successfully, such as Jinmao Building, Spring Garden, Waterside Villa, Happiness Villa, Wisdom City, Chang’an City, Feat garden, Nature Park and Riverside Garden. Hanjian Construction has been attaching great importance to quality and integrity, shaping the spirit in struggle, and creating the brand in hard work. It is trying to vitalize buildings, imply human-centered spirit, compose caky music, and create timeless art. The company has built a large number of landmark buildings with high scientific and technological content, such as the International Liaison Department office, Beijing Municipal Higher People’s Court, business building of Beijing municipal labor market, Zhongguancun CEC building, China National Film Museum, Shijingshan Gymnasium and Haiyang Ecological Stadium of Asian Beach Games. Hanjian Pipeline is largest production base of professional concrete pipes in North China built by Hanjian Group. It has a rich experience in the production of concrete pipes and various cement products. The PCCP pipe with the inner diameter of 4m developed and produced by Hanjian Pipeline filled the national technical gap. The company has undertaken many domestic hydraulic projects, such as Beijing section of the South-to-North Water Diversion Project, Harbin Mopanshan Reservoir, Huaihe Water Diversion Project, Shanxi Wanjiazhai Yellow River Diversion Project Phase II, Liaoning Water Supply and Water Resources Allocation Project in Northern Hubei. Hanjian Pipeline seizes the rare opportunity brought by national policy, focuses on the present, and looks to the future. The company is expanding the Bohai Economic Rim market with Beijing headquarter and Shuozhou branch as the base; exploring the Central China market with Anhui Jianhuai Pipeline Co., Ltd. and the branch in Ye County of Henan as the base; exploring the northeast market with Liaoning Branch as the base; occupying the business architecture of Central China market with the joint venture in northern Hubei as the base. The company has gone to the whole country, and has been successfully listed. Hanjian Finance is an emerging industry of Hanjian Group. It has been actively uphelding the development philosophy of “honest management, innovative services, working together and enjoying together”, and gradually getting into life insurance, microfinance, rural bank and corporate security and other financial sectors, with promising development prospect. Beijing Hanjian Group Co., Ltd. has been always following the operation principle of “reputation and service first”, implementing strict management, focusing on quality, developing science and technology, and emphasizing on reputation. It has been awarded collective model, advanced and star enterprise in the country and relevant ministries as well as city and district for many years, and has won the National Excellent Construction Enterprise, National Credible Enterprise in Construction Industry, National Enterprise of Good Creditworthiness, National Excellent Enterprise of Project Construction Quality Management and other titles. The company has also won Luban Prize, National Excellent Project, Zhan Tianyou, National Model, Gold Award and Silver Award of Municipal Excellent Project, Structure Great Wall Cup and Completion Great Wall Cup, and has more than 480 high-quality projects, more than 390 city-level and district-level safe and civilized construction sites, 5 National Grade Normalized Construction Methods, 15 invention and utility model patents and more than 80 national and municipal outstanding QC management achievement awards. Although people said Loshan Guan is as solid as iron, we are now crossing its summit. Looking ahead, our prospect is bright and brilliant. Under the guidance of the strategic layout of “four comprehensiveness” of General Secretary Xi Jinping, Beijing Hanjian Group Co., Ltd. will follow the requirements of the development of green technology, face opportunities without hesitation, and face difficulties without withdrawal, go onto the national stage with broader vision, greater courage and stronger motivation, make progress while maintaining stability, implement elaborate management, and work hard to achieve the goal of making the company stronger!